This year’s crypto rout has been more painful for some than others. Ethereum has been one of the heavy sufferers, affected by fundamentals beyond just a bearish market. Several factors have driven Ethereum prices into the ground this year. Firstly is the ever present threat of US Securities and Exchange Commission crackdowns on ICOs and ERC20 tokens it doesn’t approve of. Secondly has been the selloff by ICO projects that gathered funding in ETH last year and have failed to reach their targets. This is likely to be almost over now as war chests have been emptied. Finally, technical delays in meeting roadmap targets for the implementation of advanced scalability solutions have also hampered Ethereum’s performance. So much so that it has been surpassed by Ripple’s XRP token which has comparatively had a much more productive year. 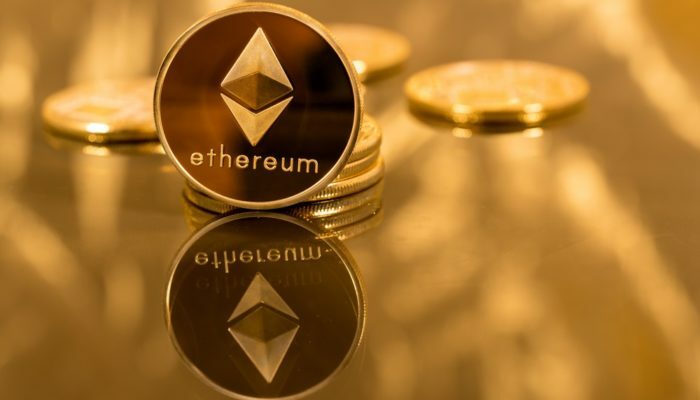 Ethereum hit rock bottom on December 15 when it plunged to a yearly low of $83. This has been the lowest price for ETH since early May 2017 when things were just beginning to ramp up. From all-time high it marks an epic crash of 94% in eleven months. Since that low point however Ethereum has managed to recover 80% in just nine days. Over the past week alone Ethereum has made 75% to reach its current price of around $150. Today it has surged 18% during the Asian trading session. Daily trade volume for ETH passed $4 billion a few hours ago. Compared to just $1.5 billion this time last week this is a huge increase for trade in Ether. It is not surprising that the top four exchanges are handling the majority of this volume; OKEx, Huobi, Binance and Upbit. The momentum is likely coming from the Raiden network going live on the Ethereum mainnet. An alpha testing release called ‘Red Eyes’ is open for bug testing with a bounty for those who make discoveries. “We hope that you’ll enjoy testing the software and doing off-chain token transfers, using our payment channel network on the Ethereum mainnet. This is an early step of bringing the Raiden Network’s vision, which we have been working on for a long time,” the post concluded. Ethereum is certainly getting the benefits today has it outperforms all cryptocurrencies in the top ten. The gap between ETH and XRP has now closed to $2 billion in market cap and Ethereum is angling to take back its coveted spot.